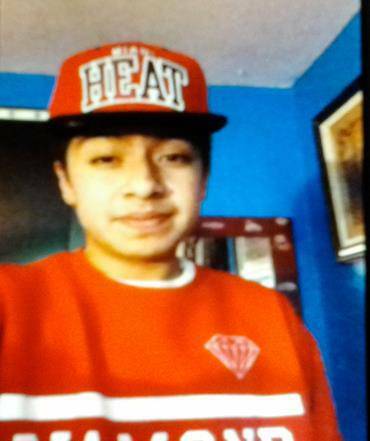 13 year old Jose Fernando Juarez has been missing since early Sunday morning, May 26, 2013, in Portland, OR from his home in the 11900 block of Southeast Division Street. Jose Fernando Juarez was last in contact with a friend at around 1 a.m. Sunday. Jose Juarez, 13, went missing from his home in the 11900 block of Southeast Division Street at around 1 a.m. Sunday. Juarez has no history of running away and there is no indication of foul play. He is described as a Hispanic male, 5 feet tall, 125 lbs., and was last seen wearing a red shirt, gray shorts and white Vans shoes. If anyone has seen or has any information regarding Juarez’s whereabouts, please call 9-1-1 or to Detective Lori Fonken at (503) 823-1081 or Lori.Fonken@PortlandOregon.gov. UPDATE I: Jose Fernando Juarez found safe Sunday.